Shanxi Mingya Foods Co., Ltd.
Shanxi Mingya Foods Co., Ltd. Is located in Taiyuan , Shanxi province, north China, which is famous for production of Walnut and Asparagus. The area enjoy high reputation as the major producing area of walnut and asparagus in China or even in the world. Our company has a long history to produce and export foodstuff. 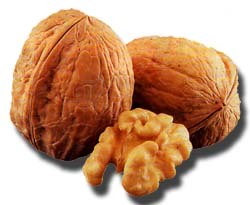 The main products are: walnut, walnut products, asparagus, asparagus products, apricot kernels, seeds, grains ,beans , dehydrated fruits and vegetables, all kinds of package are available. All products are processed fastidiously at our facilities and exported after carefully quality controlled which exported to all over the world and enjoys very high reputation. Shanxi Mingya Foods Co., Ltd. Is an outstanding company supported by Shanxi government, with HACCP established and ISO9001 approved.